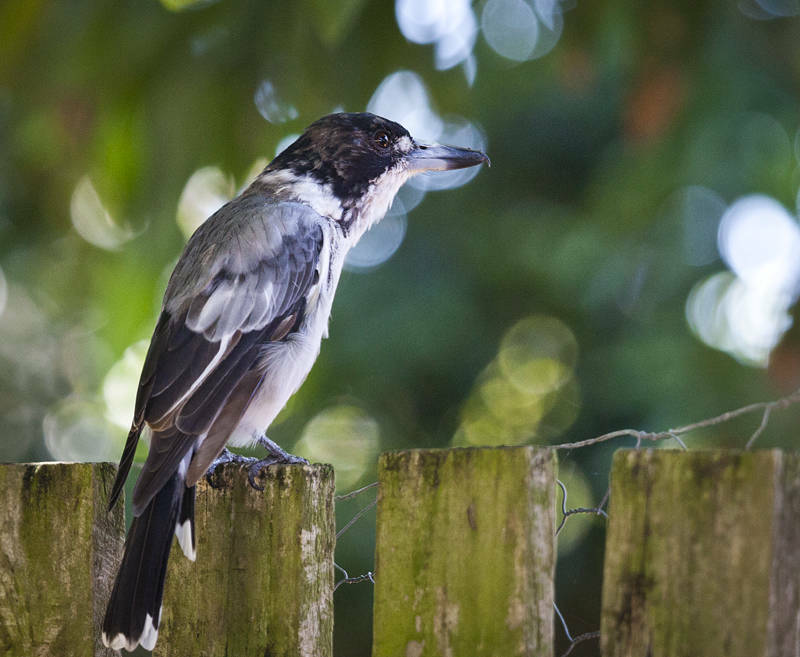 This grey butcherbird visited our garden in Southport, Queensland, Australia. They prey on insects, lizards and birds. They have an extraordinary vocal range and this one was especially talkative. It sounded like it was telling a frantic story interspersed with imitations of other bird calls. A similar image of this bird has been accepted by Shutterstock for Stock Photography and is available for download here. Maybe he was telling a joke – “He said …. then the other one said… etc”. Did he end up laughing? Kookaburras tell the best jokes.